Who’s kidding who? Pretty much everything in Whistler beats sitting in traffic. In fact, one of the best things about the pedestrian-only Village Stroll is its distinct lack of cars. 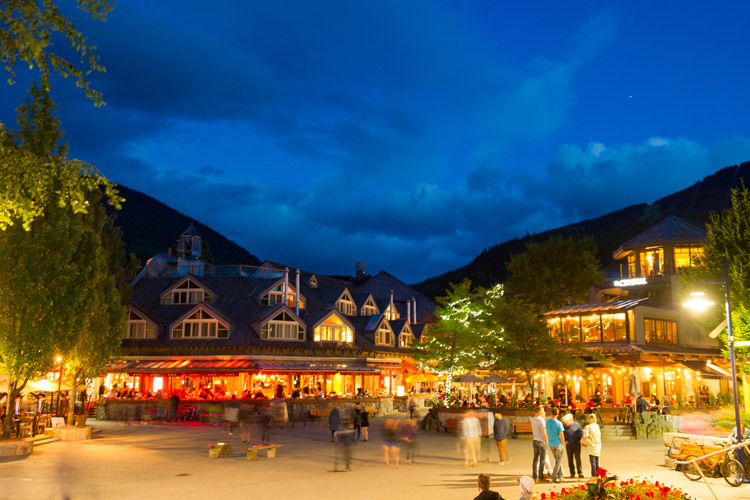 As a popular summer destination, even Whistler can see a bit of highway congestion on Fridays and Sundays as the weekend warriors rush about trying to cram as much fun as possible into those days of golden sunshine and warm evenings. 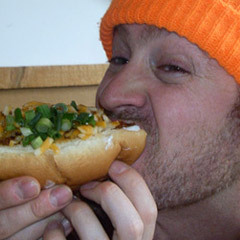 Instead of eating drive-thru food while enduring bridge and border traffic Friday or Sunday nights you could be sitting atop Whistler Mountain chowing down on fresh food and summer-delicious salads. Dinner always tastes better at 6000 ft. More info. As summer winds down it’s even more important to seize those moments of beautiful summer sun by throwing down yet another epic patio session. 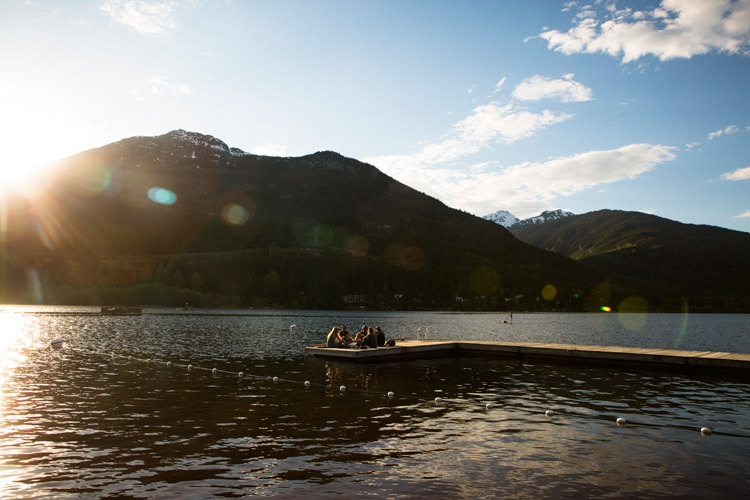 From BBQ and beers at Dusty’s in Creekside to the oysters at Araxi in the Village to the day-boat scallops and lakeside views from Table Nineteen out at Nicklaus North, Whistler’s patios will always be more fun than being stuck on the highway behind a rental motorhome. Happy hour indeed. 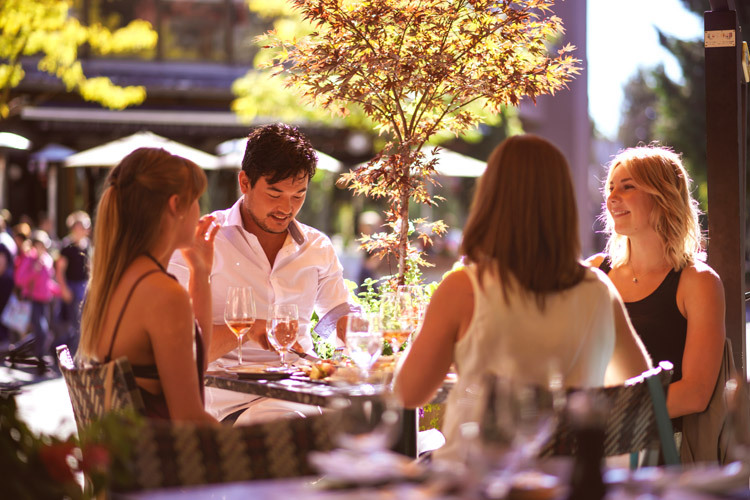 Whistler’s Araxi, the perfect summer dining spot. 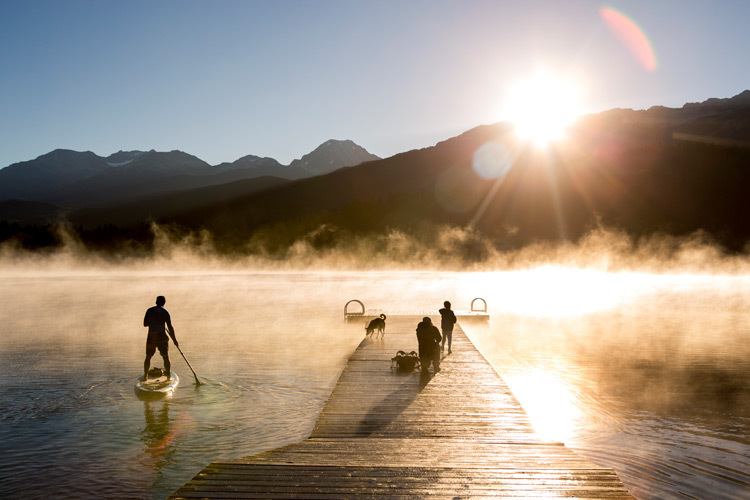 Whistler has 5 alpine lakes and each one of them easily beats waiting in line at the gas station. A Thursday evening lakeside BBQ is a good way to forget even a shortened work week and a Sunday night canoe or stand-up paddle board session can really help a person forget the rat race. Don’t believe it? Check out The Insider’s Whistler Waterways video and take your pick from all the ways you can get on the water in Whistler. Twilight golf is always super relaxing and self-satisfying but an extra round of golf after everyone goes home for the week is even better. Whistler has 4 world-class courses to try. 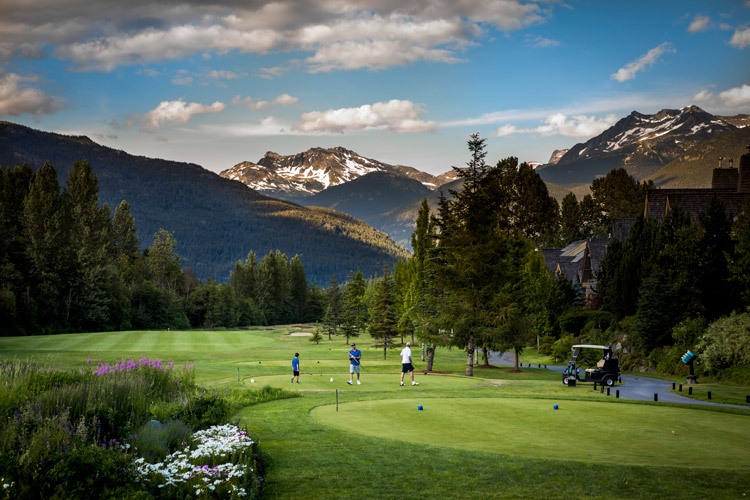 The Whistler Golf Club, Nicklaus North Golf Club and Big Sky Golf Course all offer twilight and sunset specials, while the Fairmont Chateau Whistler Golf Club offers twilight tee times after 3 PM. Don’t let let those evening rounds hog all the glory though, smashing balls out into the mist on the Nicklaus North Golf Course early Monday morning is also very rewarding. Way to start a work week. This one should be something you’ve never tried before. It could be a spa date with an equally overworked spouse or a zipline tour with a kid who thinks you’ve lost your edge. 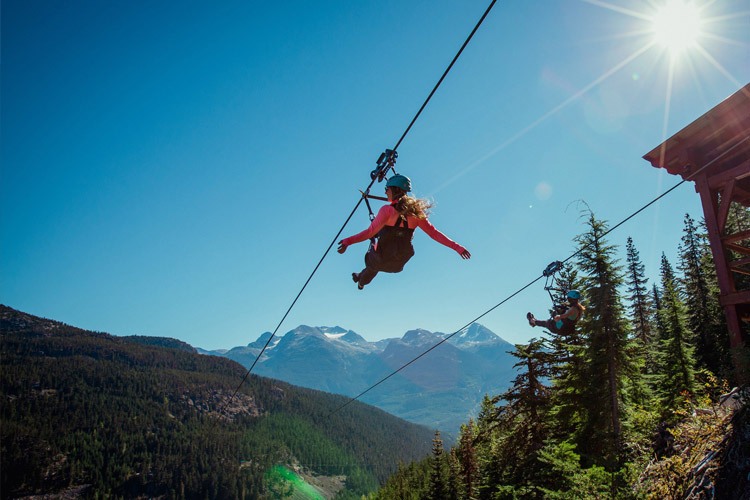 Regardless, Whistler is a place for adventures so it’s always good to try something new. Even if it scares you a bit, anything beats sitting in traffic. No need for directions here. Photo courtesy Superfly Ziplines / The Adventure Group Whistler. 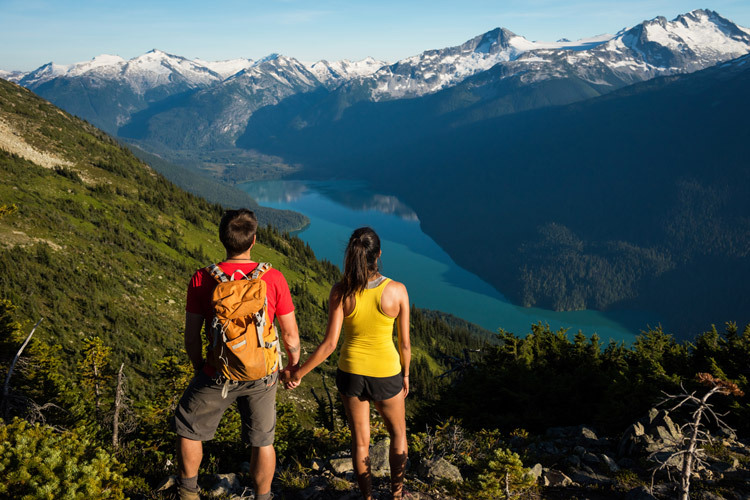 Grab these weeks of summer by the horns—stay an extra day (or more) with delicious midweek deals on accommodation from Whistler.com. Want to skip dealing with traffic altogether? Ditch the car and check out our Getting Here section for ideas on going car free.